What do you get the awards show that has everything? This year marks the 25th anniversary of the Screen Actors Guild Awards and ET has been there from the start, chatting backstage with the Seinfeld cast at the inaugural ceremony in 1995. To celebrate the occasion, we dug into our vault to revisit some of our favorite SAG Awards moments from over the years. 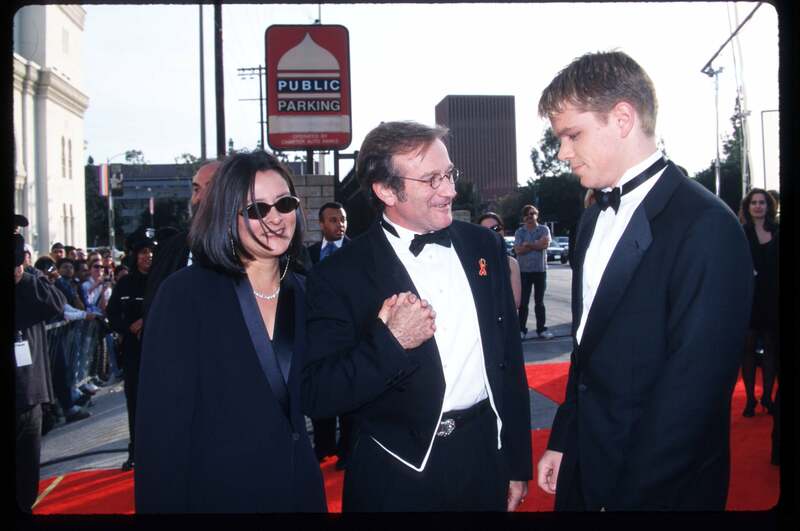 ET was there in 1998, when a young Matt Damon walked the red carpet with his Good Will Hunting co-star Robin Williams, and in 1999 to sip champagne with Gwyneth Paltrow and Angelina Jolie after both actresses won their first-ever Actors. "I am a mess! I curled my own hair today and I had to get four different sets of curlers," Jolie exclaimed backstage. "I had half my head done and I ran out of curlers and I had to call my mom. She had to go to, like, Thrifty to pick up curlers and I was just waiting. So, I made it through and I'm here!" ET was also with a giggling Julia Roberts after she won her SAG Award for Erin Brockovich in 2001, and in 2002, as an emotional Halle Berry revealed why she felt "like an idiot" after winning for Monster's Ball. Then there's Bradley Cooper and Jennifer Garner, Sandra Bullock and Zac Efron and so many more. We'll be there again on Sunday, for the silver anniversary show. To mark its 25th anniversary, SAG is running down the numbers: This year, the stars will walk 17,100 feet of silver carpet in front of 300 fans, before the 186 actors nominated this year find out who their 120,785 peers voted the winners. The 25th annual SAG Awards, hosted by Will & Grace's Megan Mullally, will air on both TBS and TNT on Jan. 27 at 8:00 p.m. ET/5:00 p.m. PT.